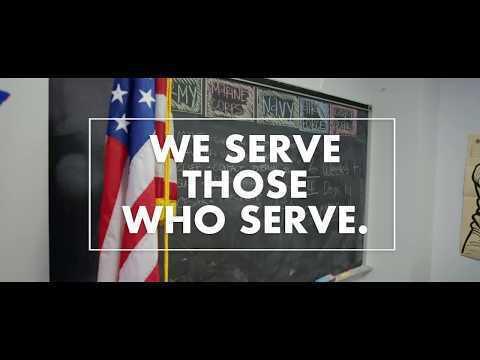 CCBC offers valuable benefits to veterans, active duty personnel and eligible family members. Get started today! CCBC offers valuable benefits to veterans, with a dedicated Veterans Certifying Official on the Catonsville, Dundalk and Essex campuses. They provide one-on-one assistance and counseling concerning all VA Education Benefit Programs and financial aid. Review of pertinent information on state and federal tuition assistance, waivers, scholarships and other funding for college. The Veteran Certifying Official certifies the enrollment of eligible veterans and dependents in approved programs of study. All of the college degree and credit certificate programs are approved for receipt of veteran's education benefits. Eligible veterans and eligible dependents who attend CCBC can receive VA Educational Benefit payments according to the VA program. Eligible veteran students may participate in distance learning (telecourses, online courses, interactive video courses, fast track courses) and independent study. Veterans start the admissions and enrollment process early. Visit the VA website for further information. See the college VA Certifying Official to start VA paperwork and other requirements. File the Free Application for federal Student Aid (FAFSA). Note: Try to complete by the Maryland State deadline, March 1st. Veterans and eligible dependent students search the Maryland Higher Education Commission (MHEC) website and other websites for scholarships. Learn more about CCBC's Scholarships and Grants.